Early in children’s lives we see the beginnings of compassion, empathy, and caring, but in order for those qualities to flourish and for the kids to become full ethical people, adults need to help them out. When children can empathize with others, they’re more likely to be happier and more successful later on in life, having stronger relationships with others. It’s important to strive to cultivate children’s concern for others. 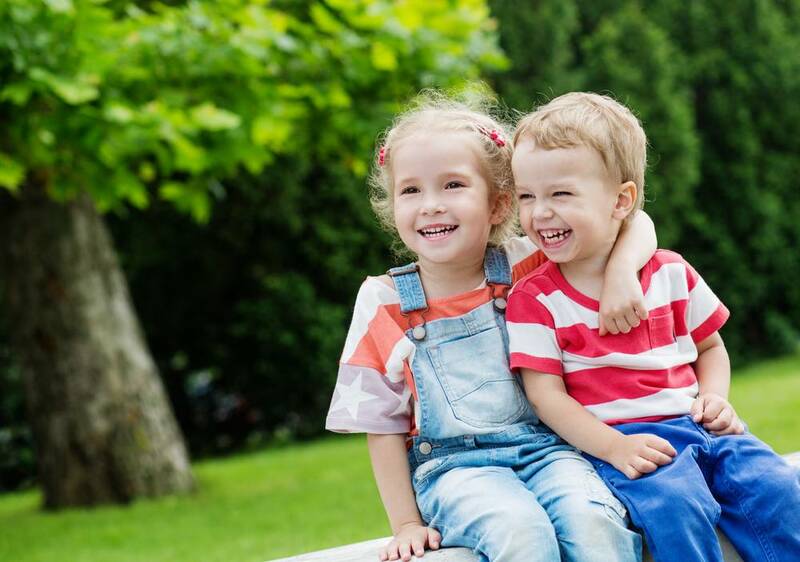 As part of their Making Caring Common Project, Harvard University’s Graduate School of Education has shared a few guidelines to raise caring, respectful, and ethical children. If you want your kids to be caring and respectful, then treat them that way! Tend to their physical and emotional needs, provide a stable and loving family environment, show affection, talk about things that matter to them, and praise their efforts and accomplishments. Children learn by observation, they will repeat the things they see other adults they respect do. Make sure that you are practicing honesty, fairness, and caring yourself! It’s important that when you catch yourself not being such a great role model in front of your kids, you acknowledge it and work on it! Get that message across! Even though most parents say that raising caring children is a top priority, it’s not something that is often talked about at home. Holding children to high ethical standards is a great way to prioritize caring because you teach them to do the right thing even when it’s tough, to honor their commitments, and to stand up for what they believe in. Studies show that people who regularly express gratitude toward others are more likely to be helpful, compassionate, generous, happy, and healthy. It’s important for children to practice caring for others and being grateful, so encourage the expression of their appreciation for the people who surround them and contribute to their lives. Also, it’s good to teach your children to routinely help around the house and become part of the family life. Most children care about their closest family and friends. The challenge is to help children empathize and care about someone outside that circle, like in a far away country or simply the new kid in class. Help your children be mindful about their decisions and how they impact a community, and encourage them to reflect on the perspectives and feelings of those who may be vulnerable and in need of a friend. Children are naturally interested in ethical questions. Talking about them and getting involved when there’s a chance can help them learn and grow. You can help your child become an ethical thinker by listening to and helping him think through and solve his own ethical dilemmas. Encourage and provide opportunities for your child to support a cause he is interested in. Help your child develop self-control and learn how to manage his emotions. Encourage your child to talk about his feelings regularly, learning to identify them and cope with them in productive ways. If you notice your child is having trouble identifying a particular emotion, like frustration or sadness, name it and talk about why he is feeling that way. These seven guidelines are something that all of us can follow and encourage at home. If you want to continue reading on the subject and are looking for more specific tips about raising a caring, ethical child, then we encourage you to read the article from its source on the Making Caring Common Project. Most children care about their closest family and friends, the challenge is to help children empathize and care about someone outside that circle, like in a far away country or simply the new kid in class. Hi! Honestly i tought my kids the right way, but for my eldest he became a bully in school, his teachers always calls for my attention whenever my son does not right. I never lose communication with him i always prioritized his needs. My son is diagnosed with mild adhd. I was having hard time dealing with him as he grows.